One month until Dr. Seuss's Birthday - March 2, 2013! Have you read the story What Was I Scared Of? by Dr. Seuss? I think it is must read! A funny little Seussian character walks in the night and sees a pair of pants floating in the air -- yes, green pants with no person inside them! At first, it was only a little frightening for the funny little guy, but the green pants kept haunting him wherever he went. One day, the pants scare him when he was running an errand to get spinach in Grin-itch. More and more encounters with the pants raise the intensity as you read until finally the funny little guy meets the pants face-to-face...no...face-to-zipper.....no...hmmm. Well, never mind. This is one of my favorite Dr. Seuss stories to read to my children. 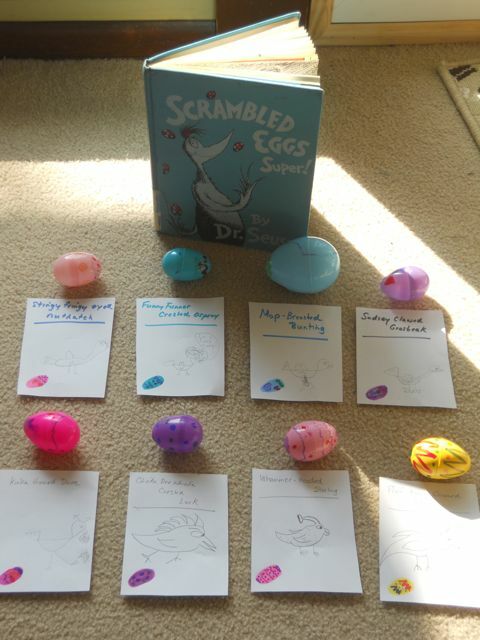 I wanted a way to extend the story beyond the book. The idea came to me when a friend informed me in an email that she saw seeds at a local store! Spring is near -- Punxsutawney Phil confirmed that today! Dr. Seuss's birthday is near too! Plant some seeds today and you might have some Grin-itch spinach by March! 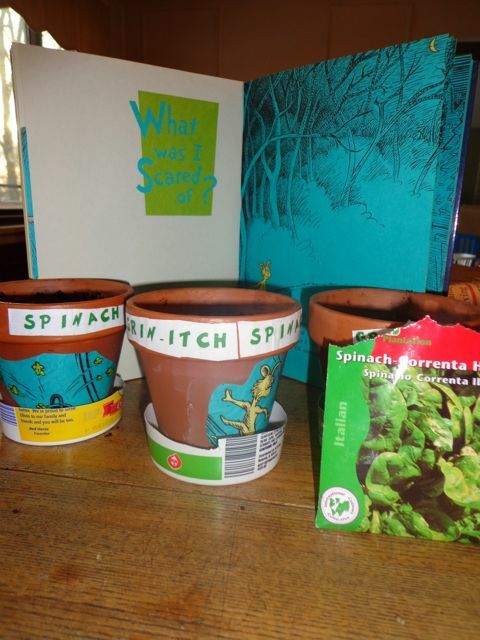 We copied the picture of Grin-itch Spinach from the story. 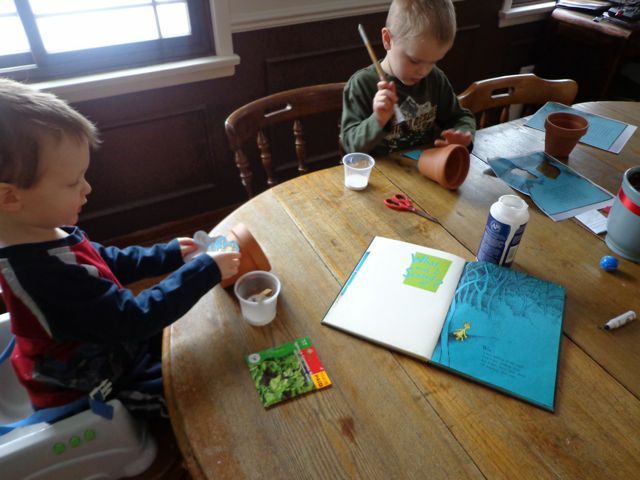 My boys cut out the picture and decided where they wanted it to be on their pot. 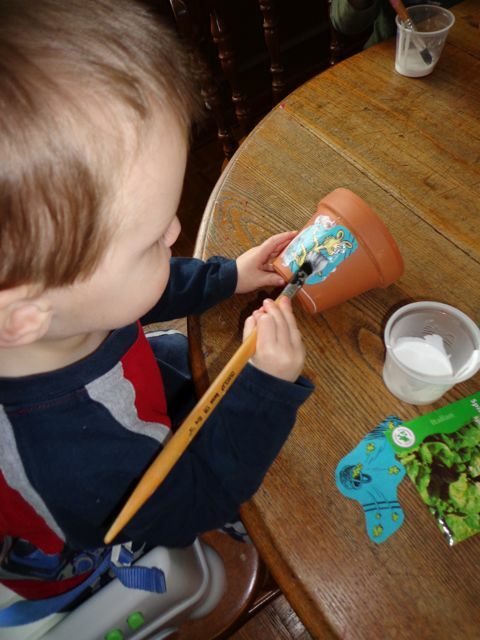 My two-year-old son was able to paint on the decoupage. This picture doesn't not show it but we also printed out the words "GRIN-ITCH SPINACH" in a Dr. Seuss Font. We waited for the decoupage to dry then we added the potting soil. Finally, it was time to plant the spinach seeds! 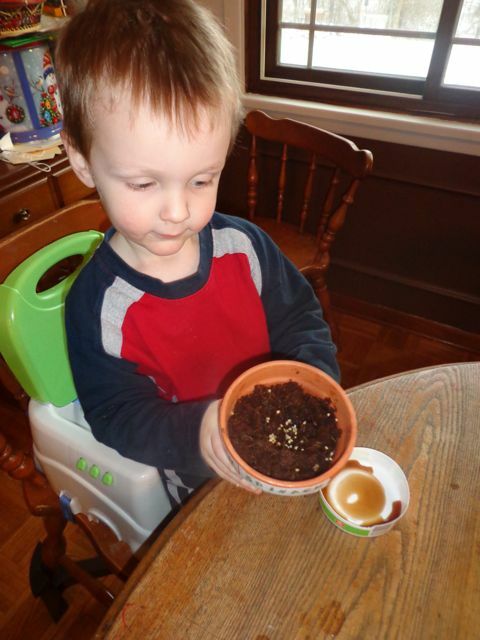 "Look at all my seeds DADDY!" 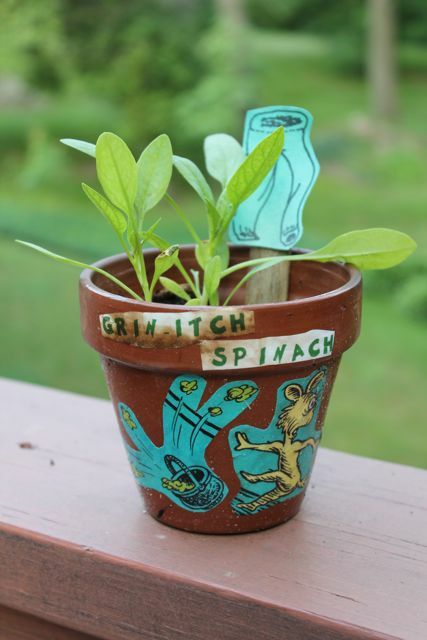 Time to wait for our Grin-itch Spinach to grow. I promised an update! 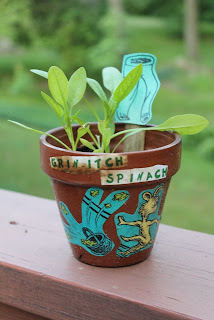 We successfully grew Grin-itch Spinach. Just a little bit longer and we will be able to add it to a salad! Thank you Lauri. Please share! Very fun! 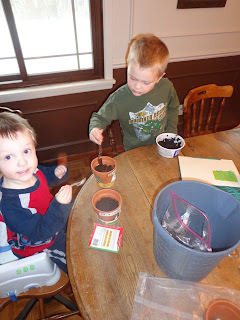 We always like a good gardening activity. Great ideas! I think I'll do the spinach activity. Love the oobleck activity. 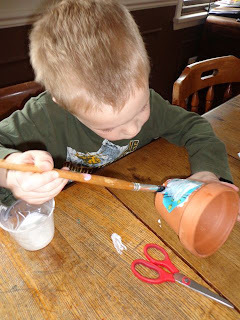 I was thinking of doing this with my early learners. On Big Bang Theory, they put this stuff in cellophane wrap and then put it on top of speakers. 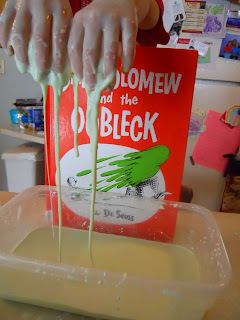 When the base of the music vibrated, it made the oobleck dance all over the place. I bet your little ones would love that. I'm going to do it and take pics. Can't wait! 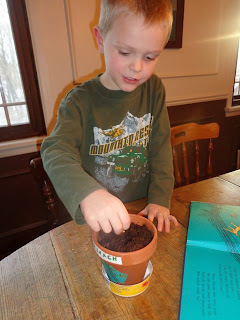 Another great post that inspires us to expand literacy to include hands on projects. Love it! Pam -- I used to watch Big Bang Theory all the time. Haven't watched it in a while. I will have to find this episode! Thanks again for stopping by! Wonderful photos! I love Dr. Seuss. I found your blog after clicking the link on Virginia Wright's blog. Stopping by from the Kid Lit Blog Hop! We have the book What Was I Scared Of? by Dr. Seuss, and your activity linked to the book is perfect. I think we'll be doing this really soon. Thanks for sharing! I can't believe I haven't even heard of this book!! 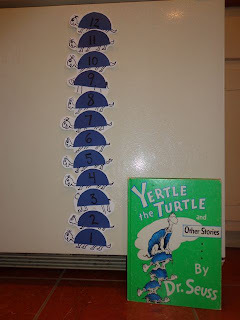 How is it that people keep blogging about Dr. Seuss books I've never read?! It's quite perpeplexing. 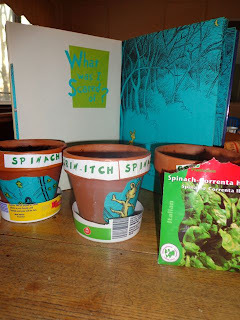 I love your idea for the planting of spinach - 'tis the time over here to be planting seedlings, that's for sure!